This serandite crystal is complete all around except on the bottom where it was attached. 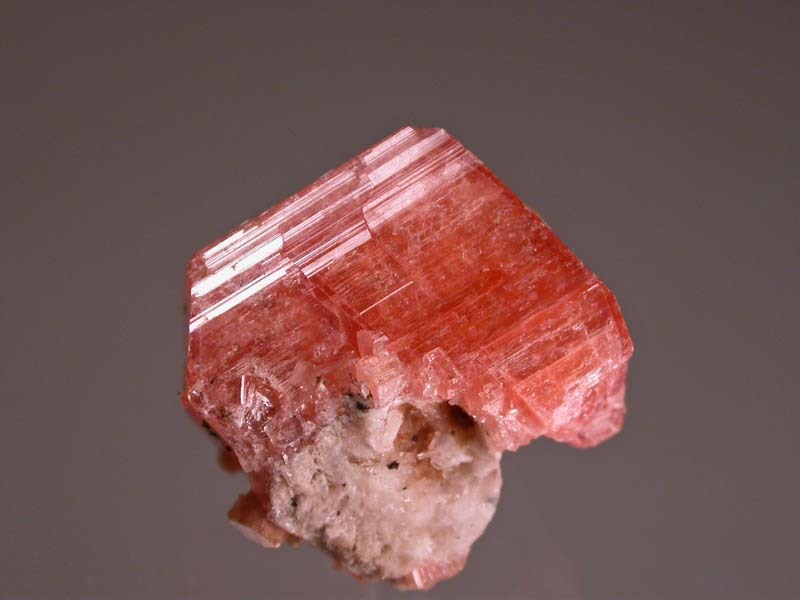 All crystal faces are lustrous and show the very nice pink-orange colouration that serandite can show. Nice example!